At a quarter past/to each hour. Description: Open to select a P7 Dragon Soul for weapon. Description: Use it to explore the P7 Sacred Treasures in the market (256,150). 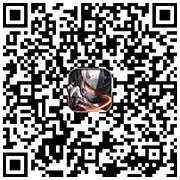 Find Shark Soldier in Gale Shadow (66,87), and teleport to Bloodshed Sea. 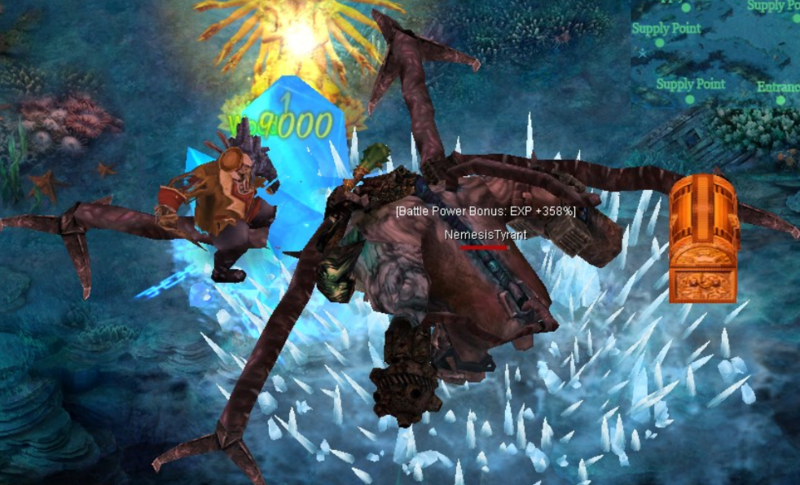 Nemesis Tyrant will show up at a quarter past/to each hour. 5 minutes before it shows up, you can find some Gold Boxes. 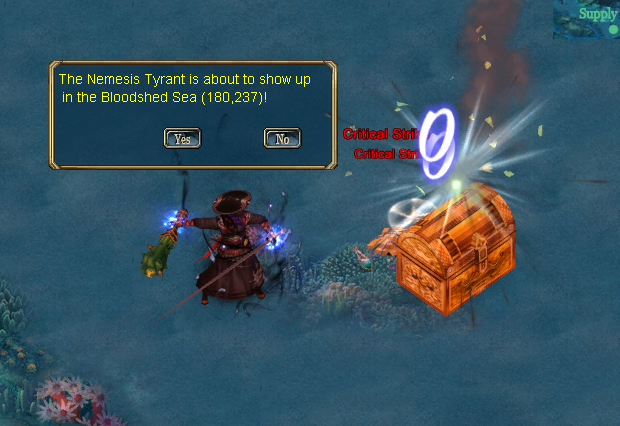 Open the boxes, you will receive some Sea Potions and learn the coordinates of Nemesis Tyrant in advance. 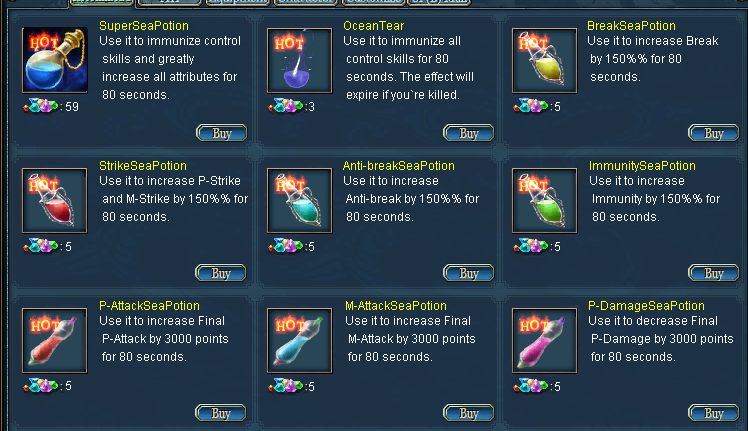 Sea Potions are very useful and will last for 80 seconds. 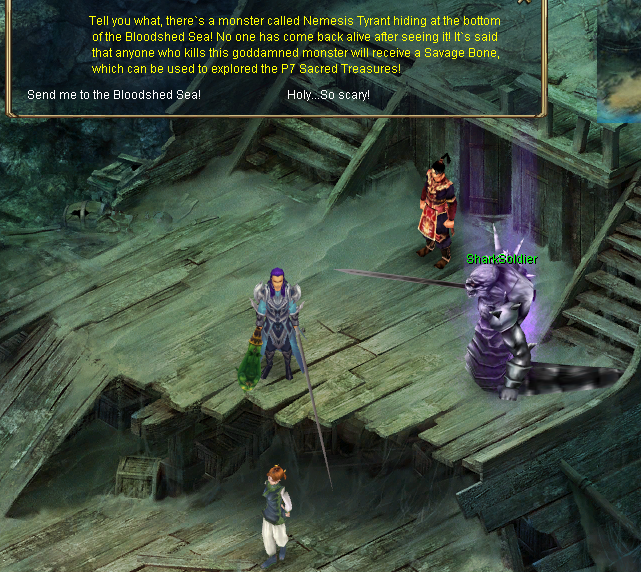 You can get them by hunting monsters in Bloodshed Sea, or buy them from the Shark Soldier in Bloodshed Sea. 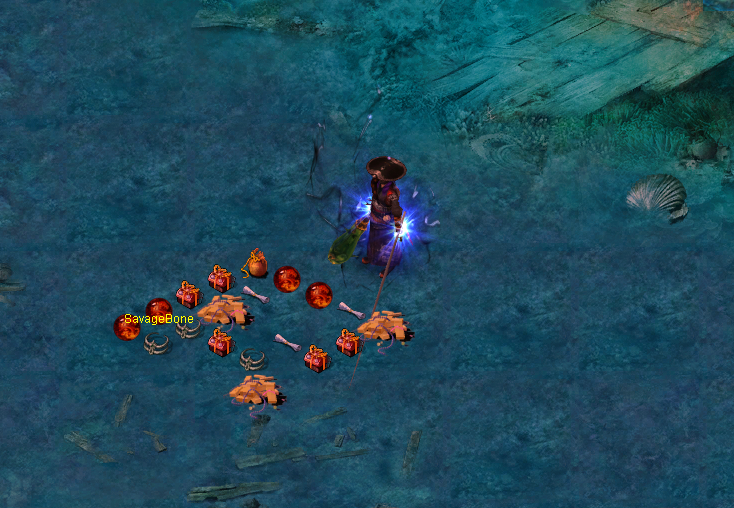 Sea Potions can only be used in Bloodshed Sea and the effect will disappear when you are killed. With the great effect of Sea Potions, you'd better hurry up to kill Nemesis Tyrant. After defeating Nemesis Tyrant, you will get Savage Bones and many other treasures. 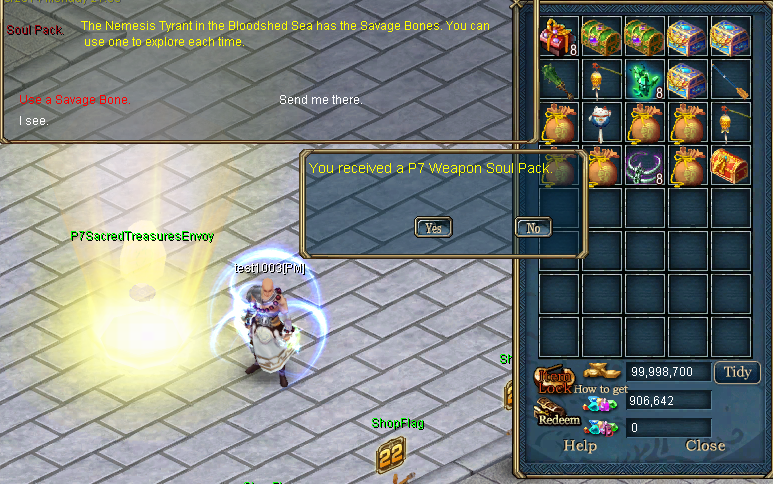 With the Savage Bones in possession, you can go to the Market and talk to the P7 Sacred Treasure Envoy (197,206), to explore sacred Refinery materials, rare Weapon Accessories, and even the legendary P7 Dragon Souls. If you don’t have the Savage Bones, you can also opt for Special Exploration. You can spend either 37 CPs or 370 CPs to explore. Of course, the more you pay, the better item you will get.